We have just witnessed another deadly week in the most deadly of environments. The discovery of the bodies of two Indian climbers high on Everest, the world’s highest mountain, has brought the death toll in Nepal to five. Paresh Nath and Goutam Ghosh from West Bengal have been missing since Saturday in Everest’s so-called “death zone”. That follows the death of another Indian climber, Subhash Paul, who was on the same expedition as Nath and Ghosh. Australian woman Maria Strydom, 34, and Dutch climber Eric Ary Arnold, 35, both died as they descended the mountain, while a sixth climber, Sunita Hazra, also from the Indian expedition, has been airlifted to hospital in Kathmandu, where her condition is described as serious. Activities on the mountain have settled back into a more normal rhythm following the double disasters of last April’s earthquake in Nepal, which killed 8,000 people with 18 at Everest base camp alone, and the avalanche the year before which claimed the lives of 16 Sherpa’s in the Khumbu Icefall. However, these latest deaths prove that as long as people with limited climbing and altitude experience are allowed to push their limits in a bid to stand on the highest point on the planet, we are going to continue to see deaths on Mount Everest. 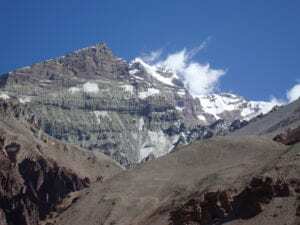 Each year, there is a couple of week period, generally towards the end of May, which climbers are making their attempts at reaching the summit of the world’s highest point. During this window in May each year, the monsoon comes in from in India, bringing in warm air and pushing the jet stream off the summit of Everest, allowing climbers to sneak up to the top and hopefully back down safely again. Mount Everest is hit with hurricane force winds 300 days a year, and usually the last few weeks in May, are some of the days of the year that climbers can make this journey to the summit. One of the biggest reasons that people are not surviving the climb of Mount Everest is due to the extreme altitude that your body will have to endure. Many climbers are attempting Everest, with little understanding of how their body will react to the low levels of oxygen above 8,000m/ 26,000 feet. A fact that is not commonly known to many people is that above 5,500m or 18,000 feet, nothing lives and nothing can survive. Once you cross into this height, you are entering into the lower realm of the death zone, which means that your body is slowly dying, and no one can fully acclimatize above this height. Either your body reacts well to the lower levels of oxygen or it doesn’t, and if you have not been in those environments before and learned how your body will react, you cannot properly prepare. If a climber does not take enough time to slowly adjust to the lack of oxygen above 5,500m/ 18,000 feet, then they run the risk of serious altitude issues, which can then result in death. At sea level we have 100% oxygen for our organs and muscles to function with. On the top of Ben Nevis, Scotland’s highest point, there is 88% oxygen, at Everest base camp there is 53% oxygen, and on the top of Mount Everest there is only 33% oxygen in the atmosphere for our bodies to use. Going to altitude is cumulative, meaning that the higher you go the more difficult it is for your body to adjust. Some people can travel from sea level straight to 3,000m quiet easily, they may only suffer from a headache or mild sickness, but if you were to travel straight to 5,364m, the height of Everest Base Camp, you would be dead within 24 hours. If you were transported to the summit of Everest from sea level, you would be dead in less than five minutes. Every individual body reacts differently at altitude, I have personally seen people getting sick as low as 1,400m, so this is a warning to people considering going to high altitude. Building up experience gradually is essential to limiting ones chances of getting altitude sickness. What needs to be understood by people attempting to scale these heights, is that you never actually fully acclimatize to the low levels of oxygen. If you were living at heights below 4,000m, it would take your body 5 years to fully acclimatize, and above that point, you will never acclimatize. Climbers who move above these heights are playing Russian roulette with their lives, and while most accept these risks, they need to fully understand how their body will react and have the right schedule and climbing experience to suit them, not the expedition they have signed up to. There is no one size fits all when it comes to climbing itineraries. This is why climbers need to have a better understanding of how they personally adapt to low oxygen environments, to give them a better chance of being successful and surviving. I have personally been on over 35 expeditions above 5,500m/ 18,000 feet and stood of the top of Mount Everest in 2008. It took me years and numerous climbs to fully understand how I personally react to the low levels of oxygen. When I was preparing for and climbing Mount Everest, I was joined by my friend and climbing partner for the journey. By the time we finished on Everest, we realized how differently our bodies took to the low levels of oxygen. On the mountains leading up to Everest, he was able to acclimatize and reach higher altitudes much quicker and stronger than I was able to. I would struggle on the mountains that we were trying to ascend quickly, cutting off days in order to shorten the trip and return back to work taking the smallest amount of our annual leave days as possible. But when it came to Everest, which is a much longer expedition, I was stronger than he was. On the mountains that I did prior to Everest, I was sick numerous times and learned that my body needs a longer time at altitude to acclimatize. But when I give myself adequate time, and set the itinerary to match this, I am able to adapt very well and in fact completed my Everest climb to the summit without even any headaches or altitude sickness. Another common misconception about climbing on Everest and other 8,000m peaks, is that people think that the bottled oxygen is allowing a climber to breathe oxygen like they would at sea level. When in fact, the bottled oxygen that climbers are using is a mixture of compressed gas and ambient air from outside the mask, which is only adding an additional 2% extra to their oxygen levels. This is helping to keep them alive, however it is not helping them climb faster or better. If that oxygen runs out, then they end up in an environment they are not acclimatized too. When I climbed on Everest, I saw a climber go blind from the lack of oxygen after his oxygen system froze and he was left without any supplemental oxygen. There are so many factors on Everest that can kill you, and many of which you have no control over, however, coming to climb Mount Everest with the proper experience and knowledge of how your body works at high altitude, can be the factor that can saves your life. So far this year, there has been over 350 successful summits on Mt. Everest, most of which are local Sherpa climbers. This 2016 climbing season has had 5 deaths, which is sad to say, quite normal for Everest. There has never been a season on Everest where someone hasn’t died, and over 30 other climbers have reported serious frostbite, ailments and possible life-threatening injuries due to the lack of oxygen high on Mount Everest. Unless the mountaineering companies operating on Everest and the Nepalese Mountaineering Association stand up and make sure climbers have a serious climbing CV and previous 8,000m climbing experience before taking on Everest, then every May we are going to continue to read about deaths on Everest. Ian Taylor is the owner and operator of Ian Taylor Trekking, bringing clients on trekking and climbing peaks in the Himalayas and around the world. Find out more at www.iantaylortrekking.com. Read some reviews.